Didja miss me?! I have been MIA for too many days! I was actually away for a short time this weekend and never really had the chance to bust out the computer, but I have returned and here I am. 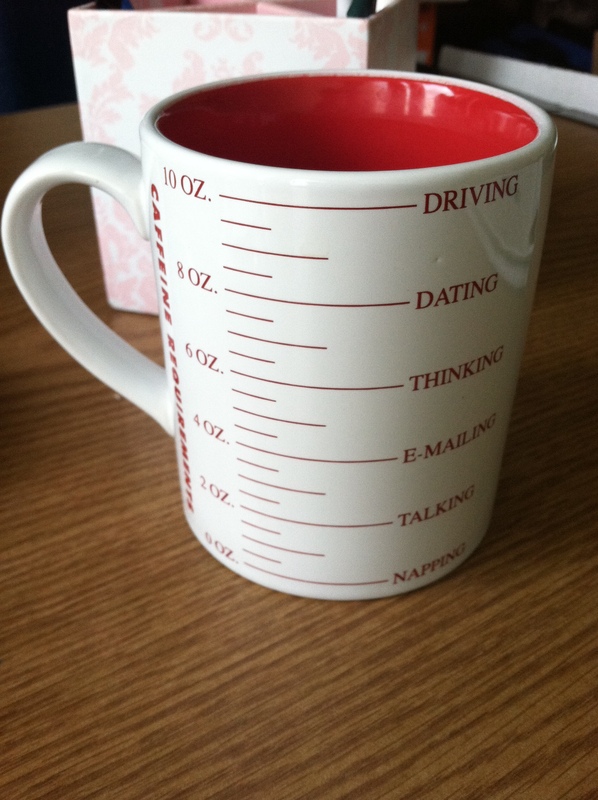 Here to offer you all of the 5ks & Coffee Beans babble that you desire! Unfortunately, in the chaos of the last few days, very little exercise made it into my schedule, which means, get ready for random. And now let’s talk about Thursday. Thursday was one of those days where everything went wacky from very, very early on. First of all, I was driving for a very short time on the thruway. Generally speaking, I try to avoid the thruway because I don’t particularly love it. Especially when people are in hyper-aggressive-driver-mode. Anyway, as fate would have it, I ended up passing up my exit and realizing it AS it was happening. Of course, I couldn’t turn around, so I just got off at the next exit. After talking to the extremely personable man at the tollbooth, he had told me to “turn right then right again,” to get back on, but of course, that didn’t work. Instead, I ended up in farm country where there were a lot of horse-and-buggies and a lot of country roads. Needless to say, I was quite peeved. 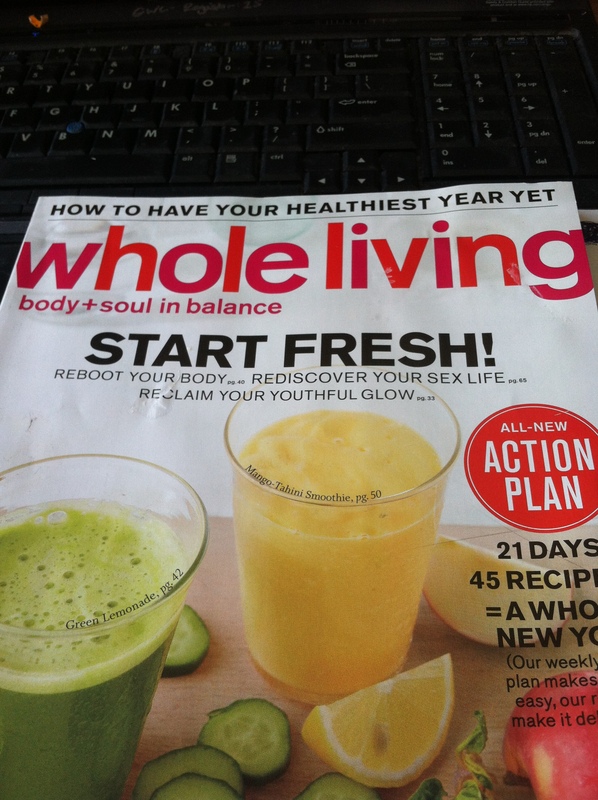 Eventually, lunchtime rolled around and I spent some time paging through one of my favorite magazines: Whole Living. Whole Living is actually an off-shoot of Martha Stewart Living (which I also LOVE! ), but instead of fine dining and decorum, its focus is on healthy recipes, fitness and general wellness. I love the combination of life-enrichment articles AND recipes/ fitness ones. Three very interesting tidbits, or “food for thought” items, that I thought were worth sharing. Especially during this post-New Year’s time when we are all working to keep the sanity and healthfulness that we promised ourselves that we would maintain back at the beginning of the month. 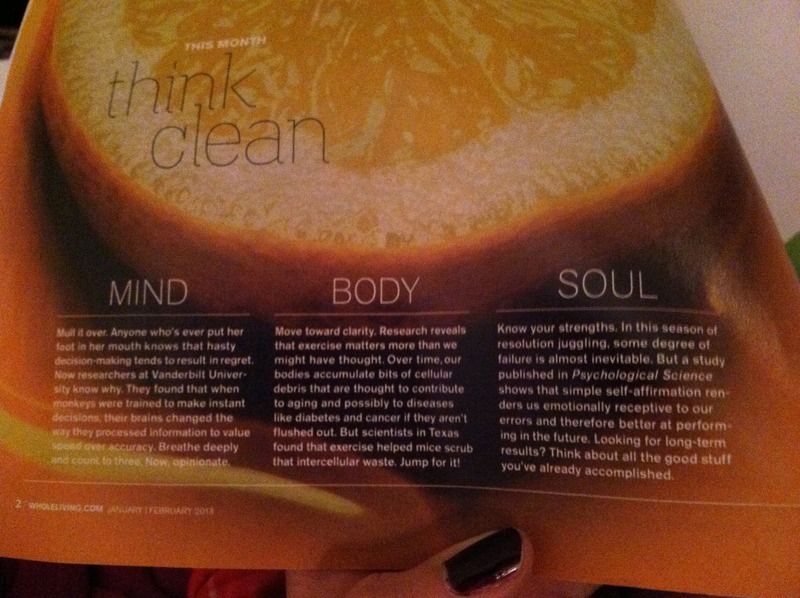 That and the fact that I love reading positive thinking articles that actually hit home. For the MIND: Studies suggest that when trained to make instant decisions, the brain comes to value speed over accuracy. So what’s the point? Slow down and take a breath before making rash decisions. For the BODY: Exercise can actually reduce cellular debris in our bodies that may attribute to the development of different diseases. For the SOUL: Occasional failure is inevitable, but self-affirmation can make all of the difference in how we handle it. Self-affirmation makes us more receptive to our mistakes. In the midst of frustration, we must not forget to remember all of the positive things that we have accomplished en route to reaching our goals. I hope some of that was at least remotely relevant to your life, it definitely rang some bells for me! I will see you tomorrow. Have a merry Monday! I recently watched a TED talk that was about how we’re happier when our minds aren’t wandering. Apparently, if you’re focused on your task, you’re happiest… you can be just as happy if your mind is wandering off on something pleasant, but even if it’s wandering on something netural, it SIGNIFICANTLY decreases your happiness. Which is weird. But that’s what they said… and your fast/right decisions point reminded me of it. That’s really interesting. I think I can definitely see how that may be the case with attention though, but at the same time, you’d like to think that you can let your mind wander (at least a little) without impacting your happiness! So bizarre!